A picture shared by Yesenia Sanchez on Facebook. “I couldn’t believe what I was looking at. I felt it and it looked like mud,” she said in an interview to Chronicle. Ms Sanchez says that she called up the restaurant was told to return. 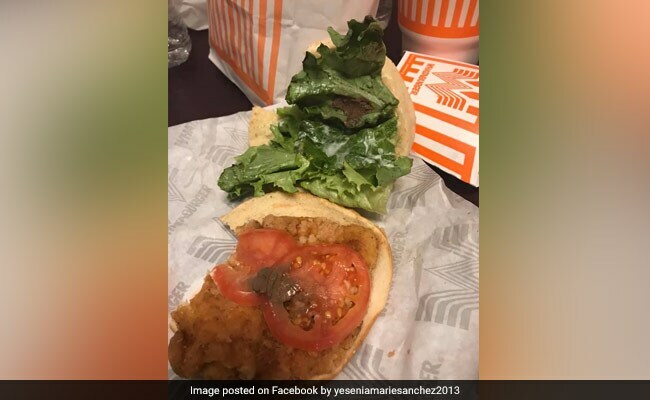 At the Whataburger, she claims she spoke with another manager who assured her the “lettuce is supposed to be 100% clean” and acted as though it was placed in her sandwich on purpose.